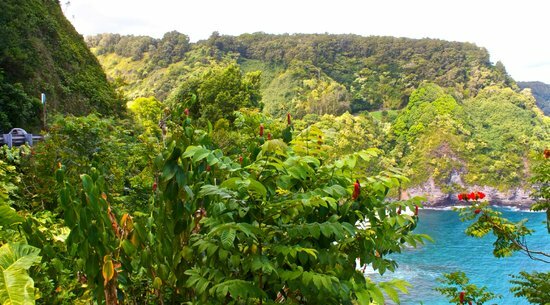 The Road to Hana is by far one of the most famous drives on Maui, and for good reason. 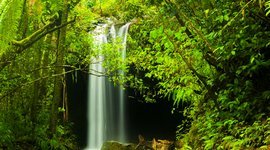 This world of rainforests and giant waterfalls is what most people think of when they picture island paradise. But it's more than just a pretty face. If you treat the drive itself as a fun part of the adventure, then the windy roads won’t seem so long. It helps to have a few insider tips. You know, the secret sauce to making the Road to Hana a memorable experience...in all the right ways! 1. 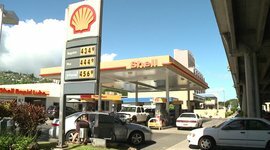 Pre-departure – Before you leave, be sure to fill up your car with gas – the next gas station isn’t until Hana! Also stock up on water and snacks. 2. 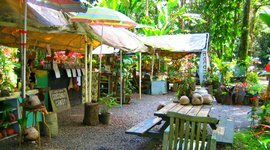 Local Hana food stands – A trip down the road to Hana isn’t complete without a visit to the food stands lining the highway, but it helps to know the best ones! Aunty Sandy's offers an extra special treat. 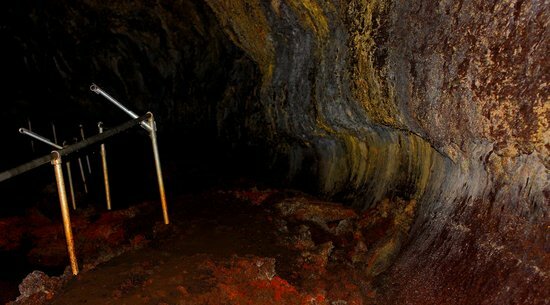 Her stand in Ke'anae, halfway to Hana, is just about the only place where you can get it hot and fresh from the oven! The turn off is about a half mile past mile marker 16. Insider Tip: You can buy a proper lunch there if you like – her egg salad sandwiches are superb! Nahiku Marketplace sells some of my favorite coconut candy on the island. It’s divine, and completely different from what you'll find in most shops, and best of all, it comes in several flavors. Try it for yourself! Stop at mile marker 29 for this marketplace stand. If you want to add some healthy snacks into the mix, you'll have ample opportunity – many of the food stalls sell fresh coconuts, smoothies, and locally grown fresh fruit. 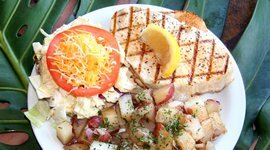 If by some miracle you're still hungry when you reach the town of Hana, there are a few local restaurants too. 3. 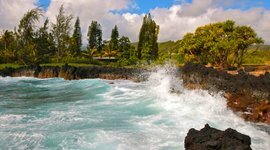 The best scenic stops – Whatever you do, don't make the mistake of driving straight to Hana and back without stopping – you'll miss out on all of the amazing scenic stops along the way! 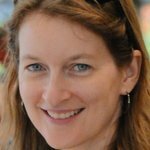 Besides, one of the keys to driving the Road to Hana with kids is letting them get out and explore every chance you get – it breaks up the drive and lets them burn off excess energy. Twin Falls is one of the most popular stops, and located just after mile marker 2. The only catch is that if your kids are really small, they might not be able to handle wading through the stream at the end. If that's the case, no worries – the rest of the hike is beautiful. 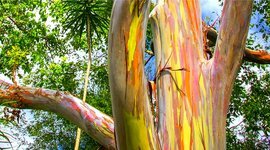 There are some amazing rainbow eucalyptus trees at mile marker 7, and kids tend to love the kaleidoscope of colors on the bark. It’s a small pull out along the road and great for a quick stretch that gives the kids a taste for the cool nature ahead. Stop at Kaumahina State Wayside Park just past mile marker 12 – you'll get a great photo of the winding road ahead from the lookout. 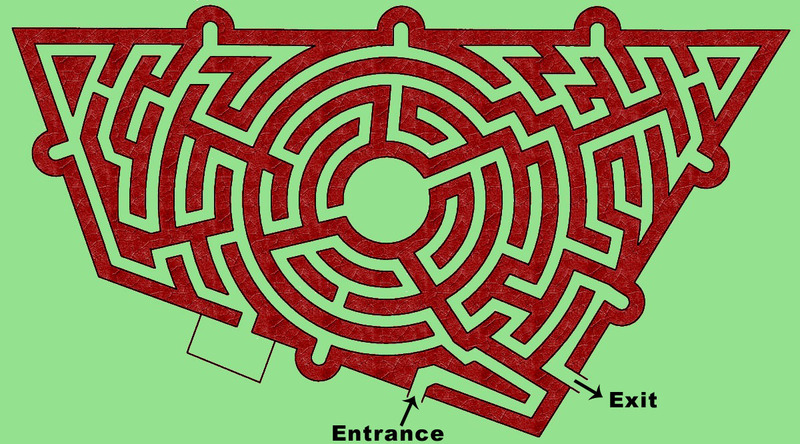 You'll also have access to restrooms, plus a large grassy area that's great for kids to run around and burn off steam. And if they're lucky, they'll get to check out the wild chickens roaming about! Remember Aunty Sandy's just after mile marker 16? 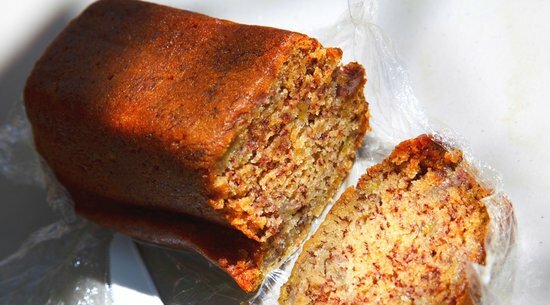 After you've stuffed yourself with her hot and fresh homemade banana bread, continue driving down that road until you reach the Ke'anae coastline. 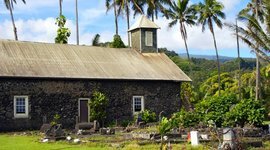 This wild and rugged stretch offers some stunning photo ops, and if you love the beauty of old stone churches, be sure to check out Ke'anae Congressional Church, which is over 150 years old. There’s also a small arboretum here with lots of cool plants from around the world. 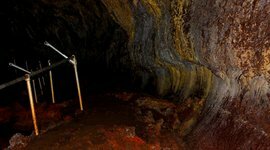 The Hana Lava Tube is a must-see for all ages – to get there, turn left onto Ula'ina Road, a little bit past mile marker 31. 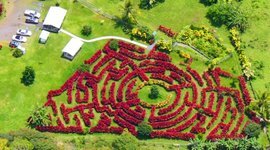 And when you're finished with the Hana Lava Tube, take your kids to explore the only Red Ti Botanical Garden maze in the world – it's right next to the lava tube exit! 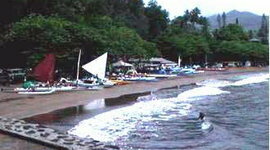 Just past mile marker 32, you'll see the turn off to Wai'anapanapa Black Sand Beach. It's a nice place to swim and relax on the beach after a long drive. Just make sure there's no jellyfish advisory. The ancient footpath, 'The King's Highway' meanders past this spot, the scenery will blow your mind, and the legends you'll read about here will enthrall kids and adults alike. 1. 'Oheo Gulch (Seven Sacred Pools) – After you reach Hana, be sure to drive a bit further to spectacular series of waterfalls and swimming holes known as 'Oheo Gulch. 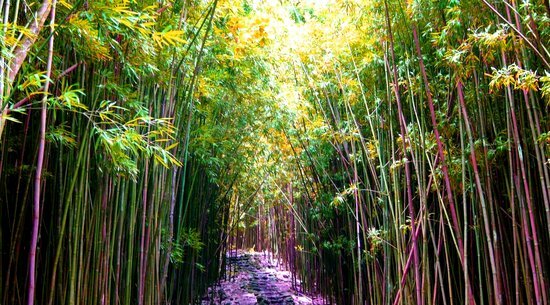 The walk to the pools is gorgeous, lined with bamboo forests, and easily doable with kids (I've done it with 2 kids under age 5!) If you're in the mood to cool off with a swim, you can do that too, as long as the park rangers say it's safe that day. 2. 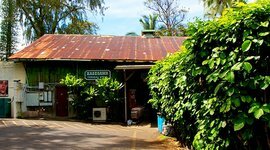 Hasegawa General Store – This shop has been around for over 100 years, and is mentioned in all of the best guides to Maui. If you arrive in Hana in need of snacks or supplies, be sure to drop in here so you can say you've seen it! 3. 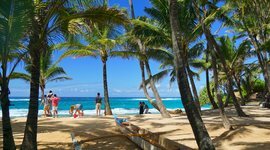 Hana Bay Beach Park – If you're dying to cool off with a swim, and The Seven Sacred Pools aren't suitable that day, then zip over to the Hana Beach Park instead. This calm cove is perfect for kids of all ages. There are picnic tables where you can relax. 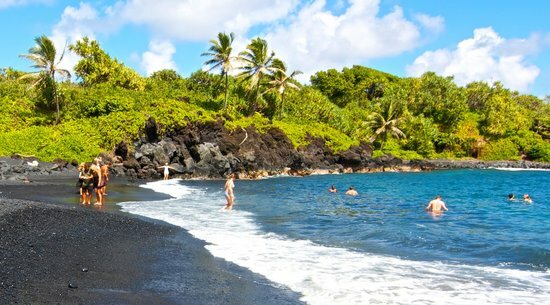 As a bonus, you get the novelty of swimming and playing at a black sand beach! 1. 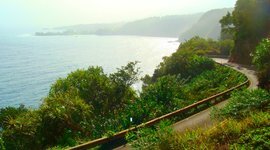 Prepare to avoid car sickness – The Road to Hana has over 600 twists and turns that aren't easy for anyone prone to car sickness, especially kids! The day before your trip, consider popping into a local pharmacy to purchase some motion sickness medication. This, along with frequent stops and fresh air, is usually enough to keep everyone feeling their best. 2. 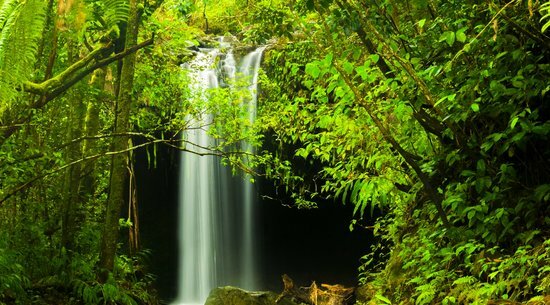 Leave shortly after dawn or stay a night in Hana – The drive to and from Hana is best done in daylight. Maximize your sightseeing opportunities by leaving shortly after dawn. 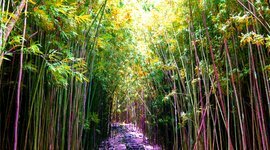 Better still, book a room in Hana and stay the night – that will double your sightseeing time, and trust me, it's worth it! 3. Coming home – After all that sightseeing, you're going to be hungry. 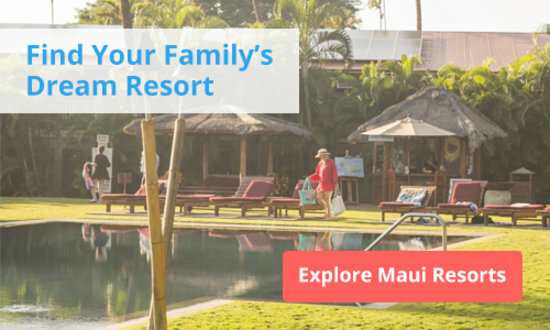 Consider splurging on a beachfront dinner at the top rated Mama's Fish House (make reservations ahead of time), or choose from one of the many great restaurants in Pa'ia, such as The Flatbread Company or Pa'ia Fish Market.